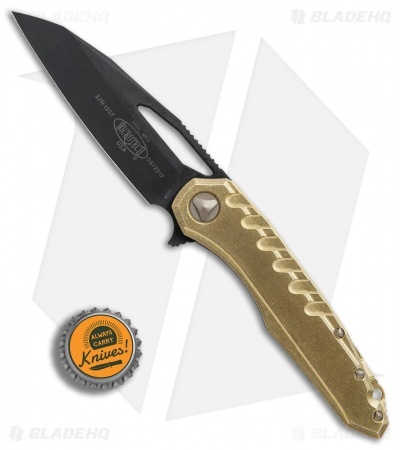 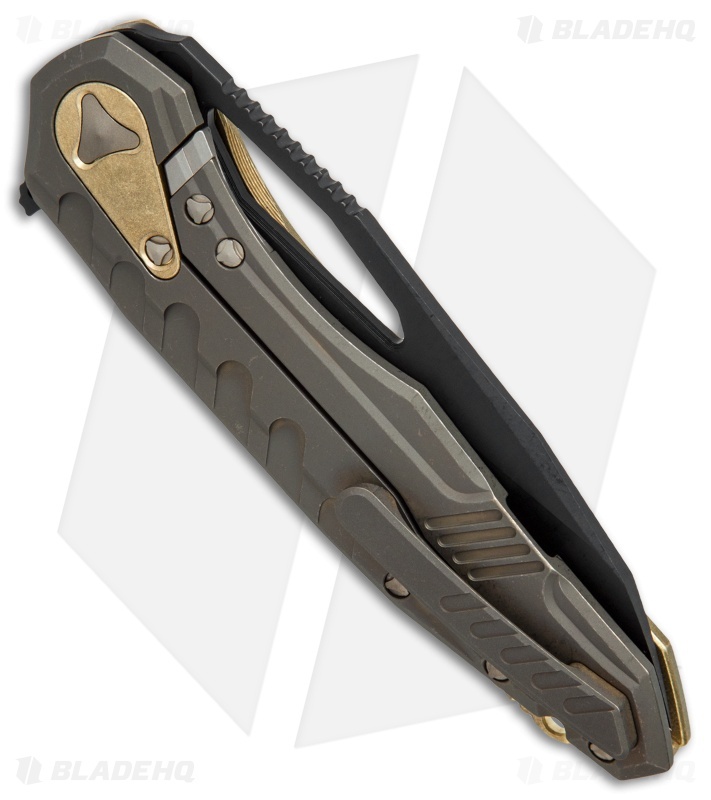 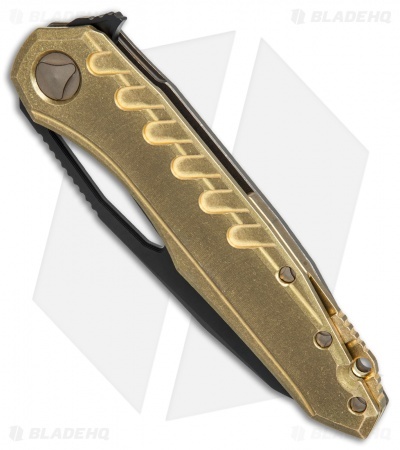 This Microtech Sigil features a brass handle with a bronzed titanium frame lock and a brass overtravel stop. It has a plain edged, black DLC finished Bohler M390 steel blade. This collaboration with D.C. Munroe offers a fantastic design with a solid Microtech build. Designed with everyday carry in mind, the Sigil is sleek and compact and features a sturdy titanium handle. A flipper opener and a titanium frame lock tab finish off the stellar design.